A stretch of road near to where the crash took place. GARDAÍ ARE INVESTIGATING a single vehicle collision in which a man was killed. A man in his 30s was fatally injured last night after the car he was driving left the road and collided with a pole. The crash happened on the N2 south of Ardee at Mullacapple in Co Louth at 1am this morning. The man was the sole occupant of the car. He was pronounced dead at the scene and his body was removed to Our Lady of Lourdes Hospital in Drogheda. Gardaí have appealed for witnesses to contact Ardee Garda Station on 041 6871130, The Garda Confidential Telephone Line 1800 666 111 or any garda station. 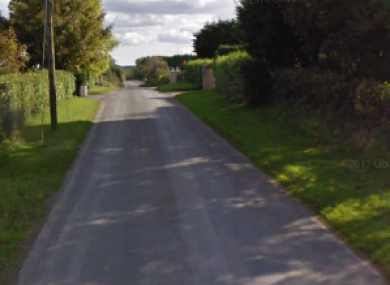 Email “Gardaí appealing for witnesses after man (30s) killed in single vehicle crash in Louth”. Feedback on “Gardaí appealing for witnesses after man (30s) killed in single vehicle crash in Louth”.